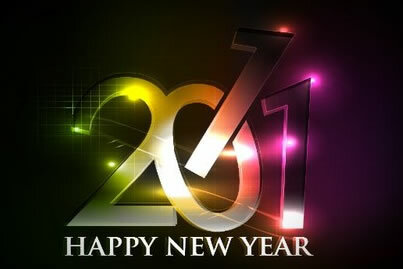 It’s a new year, 2011, and a lot of new things will be in store for us this coming year. To that end, it was time to revitalize our site and get it ready to help us present all of the work that we’ll be doing. We’ve put more VoiceOver demos online, have made available a large number of videos in our Portfolio, and expanded our links and client roster. And with our new Blog (which you can subscribe to through RSS), we’ll keep you up-to-date on what’s going on. We’re very excited by our new image, and we think you will be too. And feel free to spread the word to your friends and colleagues who might be interested in our services (we’ve made that easier too with easy-to-share links to Facebook, Twitter, and other popular services) — we’d appreciate it! Lethal Sounds (as Backyard Green Films), in association with Nantascot Films, is producing the inspirational documentary Mile of Hope: The Dan Cummings Story about a young man who overcame spinal cord injury to triumph by walking and creating the Journey Forward Foundation to assist others in their hopes to walk again. Lethal Sounds (as Backyard Green Films) produced, provided location sound, and sound design for the DVD music documentary Storyhill: Parallel Lives. This documentary was produced in association with Yellow Skip Films. Lethal Sounds provided voice over recording and sound design for the new animated series Bommi & Friends, distributed by Octapixx and set to premiere internationally in 2011 on the new KidsCo network. The short clip of the Snoogleberry Sorter above is a great example of the type of sound design we did on the project. Lethal Sounds provided sound design on this short comedic film, The Custodial Code. Lethal Sounds provided sound design on the animated promo for the holiday film, Candy Claus. Provided sound design on the animated series Googol. Lethal Sounds provided sound design on this animated series for Jidou Sports.